Investigations into the deaths of two of the world’s most powerful men have revealed one link: both had sons attending Point Blanc Academy – an exclusive school for rebellious rich kids. 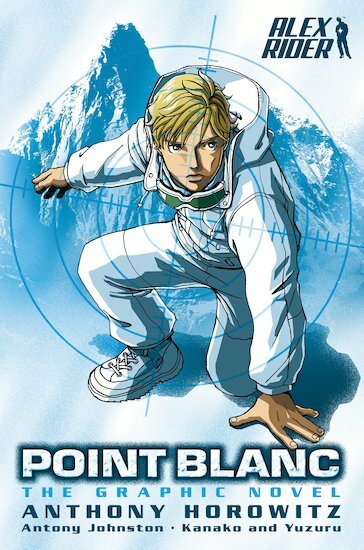 Run by the sinister Dr Grief and set high on an isolated mountain peak deep in the French Alps, Point Blanc is a world of its own. Armed only with a fake ID and a new collection of disguised gadgets, Alex must infiltrate the academy and discover the truth about what is happening there. But the secret that Alex uncovers goes way beyond his worst nightmares. Can he alert the world before it is too late? Galloping excitement with Alex Rider in this new graphic edition of his second adventure! 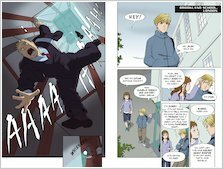 The graphic book is good if you are too lazy to read the actual book. Wonderful but the original book is better. I don’t like reading graphic novels as they change how you imagine the people and this was the same.